The 1st Wed Reading Group at Parramatta Library discussed ‘The good people‘ by Hannah Kent. This is the second novel written by Hannah Kent after much acclaimed Burial rites. ‘Nóra Leahy has lost her daughter and her husband in the same year, and is now burdened with the care of her four-year-old grandson, Micheál. The boy cannot walk, or speak, and Nora, mistrustful of the tongues of gossips, has kept the child hidden from those who might see in his deformity evidence of otherworldly interference. Most members really loved the book and admired the writer’s research skill. Kent is an excellent writer – brought out ideas of superstitious histories. Some histories have beneficial occurrences. Issue of what it is to be a woman and ailment of a child at the time was very different as today. The portrayal of grief was amazing. Some felt too much description of potions. 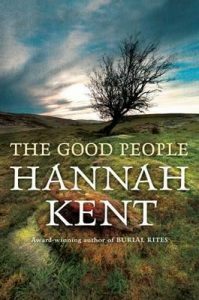 This entry was posted in Book Reviews, Fiction and tagged book review, Hannah Kent, The good people by admin. Bookmark the permalink.